Stir Fry Sauce Sweet & Sour. PREPARATION: Heat oil in wok. 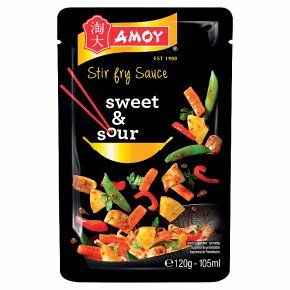 Stir fry chicken pieces (200g) until fully cooked, add vegetables (320g), fry until soft. Add sauce, stir well. Add Amoy noodles (300g), stir fry.